Damage reports are surfacing in the aftermath of Hurricane Harvey. Today we discuss how two Texas library collections have fared, and disaster recovery strategies for genealogy researchers. I’ve got a fantastic get-started video tip for those trying to rescue documents, photos, and other family heirlooms–and the two steps everyone should take to protect their priceless genealogical collections. My heart goes out to those who have been in the paths of Hurricanes Harvey and Irma recently. Knowing I live in Texas, many of you have asked how my family is doing. I’m happy to report that the storms didn’t reach those of us here north of Dallas. However, our daughter Hannah and her husband, while thankfully safe after evacuating from their home on the Texas shore, suffered the loss of their car and other possessions, and Hannah’s workplace was destroyed. They are now part of the relief and recovery efforts, and look forward to when they will be able to return to their home, which is currently uninhabitable. We feel very blessed that they are safe and sound, and our prayers go out to all who suffered losses. Clayton Library Center for Genealogical Research, Houston, TX. Wikimedia Commons image; click to view. As lives are secured and order begins to be restored in devastated areas, I’ve wondered how various genealogy libraries and archives have fared. Genealogy Gems listener Chris emailed me with an alert that the Clayton Library Center for Genealogical Research in Houston, Texas has suffered some damage. “So sad for genies!” she writes. Indeed! 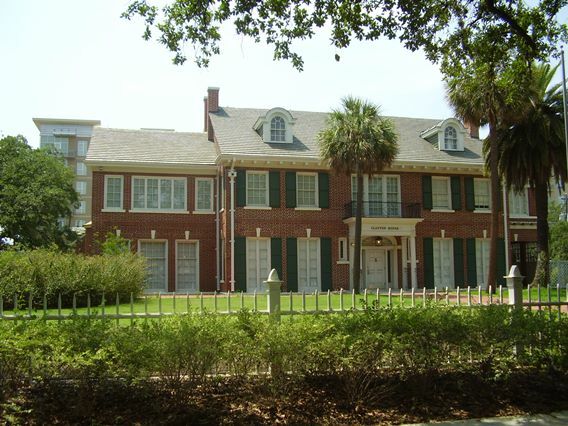 The Clayton is one of the top public library genealogy research centers in the United States. “Yes, there was some flooding at Clayton Library and according to Susan Kaufman, Manager, Clayton Library is closed this week. Clayton Library staff will be deployed to other libraries that are open. Chris’ email encourages us to support the recovery effort for Houston’s libraries through the Houston Public Library Foundation: here’s the link she sent to their donation portal. Port Arthur Public Library, Port Arthur, Texas. Image from library website. As genealogists, we to have our personal and precious libraries and archives. We build trees in software–some of us spending hundreds or thousands of hours on them. We may have files, books, and other research materials. Many of us are family archivists: the stewards of priceless original family documents, photos, and other artifacts. 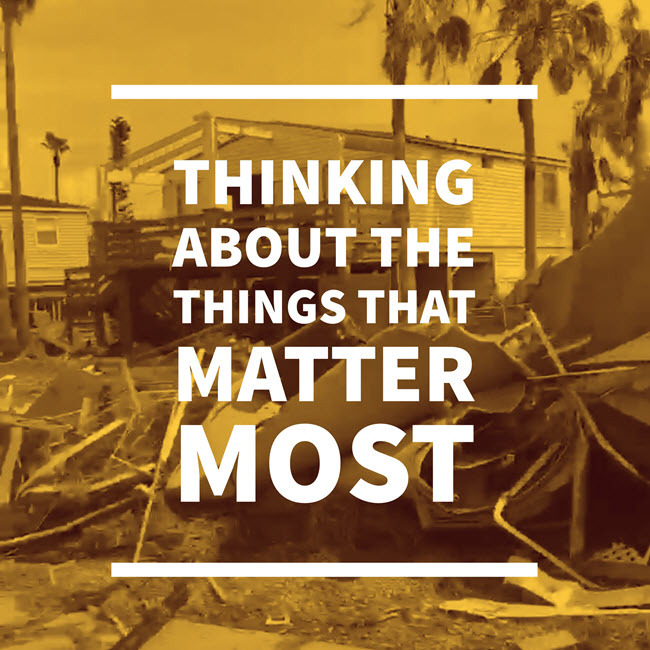 Here’s some level-headed counsel for after a disaster strikes–and here’s what the rest of us should be doing now, before another disaster. Start your recovery efforts with whatever matters most to you, Renee says. But she reminds us that certain items are more vulnerable to destruction than others, so try to also focus on things made out of paper and photographs, then cloth, then wood. Leave your china, silver, and glassware until these other items have been stabilized. Before Disaster Strikes: Digitize and Back It Up! If a disaster strikes, most of us won’t have the time to grab all our genealogy research files, photographs, and other precious heirlooms. But many of these items are one-of-a-kind–unless we make them two-or-more-of-a-kind! Digitizing it. Make high-quality digital scans of original documents and photos. Take digital pictures of three-dimensional heirlooms such as clothing, handicrafts, even quilts. Backing up your digital files. Should a disaster occur–whether storm, theft, or fire–your computer may suffer the same fate as any original documents and heirlooms in your home. So I recommend investing in an automated, cloud-based backup service for your computer. For a few dollars a month, a cloud-based backup service will continually back up your computer files to a remote server. In the event of any loss (including a computer crash), you can download them again. Having a digitized version of those original Civil War letters or photos isn’t quite the same as the real thing–but it’s so much better than having them disappear entirely. And if you’re like me, your computer doesn’t just house your photos and research files. It may have hundreds or even thousands of work files, personal files, music, or video files and more. 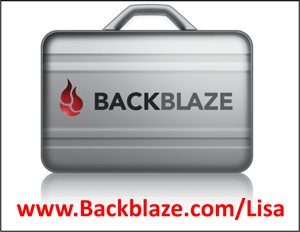 I use Backblaze for my personal computer and to back up thousands of Genealogy Gems audio, video, and other files. Backblaze is made for everyday consumers: it’s affordable and easy to use. Do your research yourself and choose the best cloud-based backup for you (click here to read the 8 features you should be watching for). Right after our Genealogy Gems seminar in Dallas in early August, I came home, sat down to work, and discovered my laptop had died. I tried everything I could find to get it going again (thanks to Google search results) but it couldn’t be revived. Thankfully, I had both Backblaze and Dropbox installed on my computer, and I didn’t lose any files at all. I was able to get everything back! Even my Google account saved all of my settings and bookmarks for my Chrome browser, so when I got my new computer, just about everything was restored as though nothing had happened. I was SO RELIEVED! Planning ahead really paid off! My sincere wishes for the safety of your families–and your family history.